I'LL WHISTLE IN THE REST. Copyrighted. 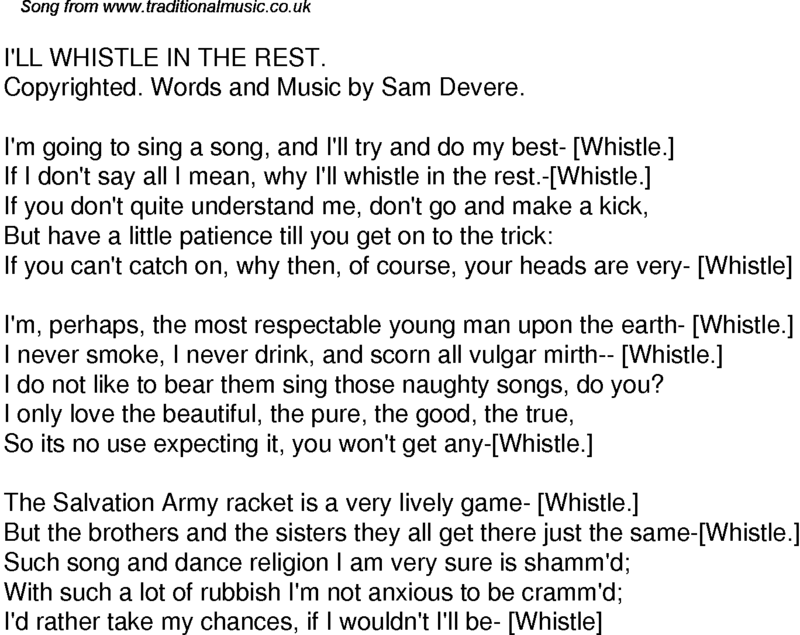 Words and Music by Sam Devere. I do not like to bear them sing those naughty songs, do you?